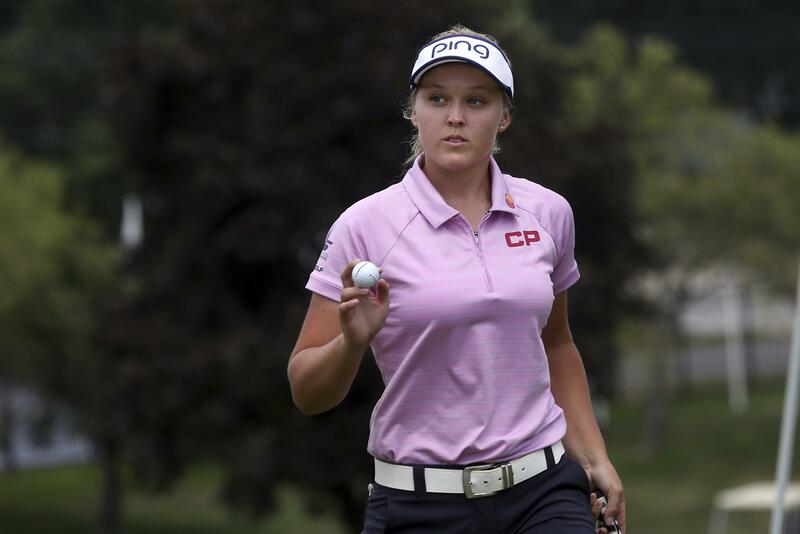 UPDATED: Sat., July 14, 2018, 4:21 p.m.
SYLVANIA, Ohio – Brooke Henderson didn’t have her best stuff at the Marathon Classic, but she did enough to stay on top of the leaderboard. Jacqui Concolino was two strokes back while 11 players were three back, including defending champion I.K. Kim and NCAA champion Jennifer Kupcho. The Wake Forest player is in the field on a sponsor’s exemption. Caroline Hedwall, who was tied with Henderson after the second round, didn’t make a birdie until the final hole and shot 74. Published: July 14, 2018, 3:01 p.m. Updated: July 14, 2018, 4:21 p.m.